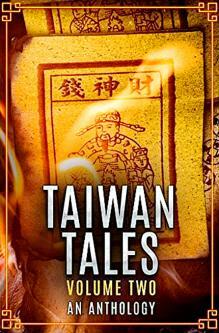 One might expect a collection of short stories written by expats in Taiwan to largely tell of the experiences of, well, expats in Taiwan, but the first three stories of Taiwan Tales Volume Two feature a Taiwanese businesswoman, a well-read and verbose red poodle (a popular breed) and a shy Taiwanese old computer game shop vendor in the underground malls of Taipei Main Station. Such a book wouldn’t be as rich, however, if it there were no foreigners involved at all — after all, they have unique experiences that are usually not featured in mainstream Taiwanese media or literature. Out of the seven stories, three of them speak from the quintessential “expat experience” in Taiwan, making this collection a bit more rounded given that the majority of writers hail from the US. Representation is always tricky with anthologies like these because there’s always something to nitpick, but it’s understandable that there’s not a large pool of English fiction writers living in Taiwan to solicit quality stories from. For what this book is, it’s an enjoyable and well-edited read that anyone who has spent significant time in Taiwan can identify with and chuckle at the “only in Taiwan” references sprinkled throughout the book. From the very first story, Room 602 by Pat Woods, it’s clear that the authors are deliberately writing from a Taiwanese perspective, or at least consciously featuring local nuances and elements that only someone who has lived here for a while will catch. Woods speaks of the freezing air conditioning that makes you bring a coat to work in the sweltering summer, the feel of shame, or “losing face,” after losing one’s cool in a public setting and giving very specific details, such as exact dates, when speaking to ghosts. The plot for Woods’ story follows a pretty standard ghost story formula, but it is perhaps the most ambitious out of this collection, as he tries to write from the first-person perspective of a Taiwanese woman — and pulls it off fairly well. This is what makes the stories fun to read. While they are all well-crafted and the prose is lively and well-edited, the creative use of Taiwanese elements is what sets them apart. In the same vein, the second tale, Mark Will’s Notes From the Underfoot, written from the perspective of a slightly snobby but very well-read and pensive toy poodle, is a rambling monologue that hits many points spot on to the Taiwanese dog experience — from the practice of dressing one’s canine in baby clothes and wheeling it around in a stroller to people who abandon dogs after they stop being cute. The remainder of the book is just as entertaining, including a trippy ghost adventure, an urban fantasy that features all kinds of strange creatures from the folklore of various countries, and a hilarious account of an obsessive expat on Tinder, hoping for a last hurrah before he leaves Taiwan while things go completely awry. Taiwanese (and other Asian) folk religion and beliefs, especially the belief in evil spirits, feature prominently in the book, since, after all, that’s the most easily recognizable element of Taiwanese culture that completely differs from Western beliefs. But that’s just scratching the surface, and the writers do a good job in digging deeper. As a result of this fascination with the occult, only three of the tales are completely rooted in reality. These provide the reader with temporary relief (otherwise the would have to be called “Taiwan Ghost Tales”), from Taipei Underground’s sketch of an ordinary man looking for love while working for his demanding cousin, to an unexpected friendship between two expat English teachers running away from their origins and eventually facing their demons. Also worth looking at is the vastly different “expat experience” between male and female Western residents of Taipei. The two female writers almost exclusively focus on expat characters in their stories, as Bob, the Unfriendly Ghost vs The Mother Plant by Laurel Bucholz features an expat teacher and the only Taiwanese characters are the children she teaches (who discuss with her how to get rid of the unfriendly ghost). There is, of course, a reason for this. The Western female role is made clear in the beginning of the story, when the author writes that “white girls in Asia, living in obscure towns, get very little love. They are bottom of the list for the pickings,” and the protagonist is companionless until she returns to the US to snag a guy to bring back to Taiwan. As a result they are less integrated into Taiwanese society, whereas the men tend to date and marry local woman. While this is largely a stereotype of female expats in Asia, stereotypes are based on truths, and again it’s a good thing that the author doesn’t shy away from tackling the issue directly. It only paints a more complete picture of expat life in Taiwan, and makes this book a more complete anthology. This entry was posted in Reviews and tagged ghost story, Han Cheung, Laurel Bucholz, Mark Will, Pat Woods, Taipei Times, Taipei Writers Group, taiwan, Taiwan Tales 2 by Ray. Bookmark the permalink.